Is everyone ready for Christmas? I don't really do all that much for Christmas but I am really looking forward to a little bit of extra time just to be home with my family, my pups, and a good book or two. I hope that everyone reading this has a wonderful holiday! This was a quieter week which I needed. Since my daughter is now on break, I think that the next couple of weeks should be pretty calm and I am not complaining. Work wasn't quite a stressful this past week but we were really busy which was rather surprising. My youngest daughter received some good news regarding a scholarship and my oldest daughter got straight A's this semester on her college courses this week which were both pretty exciting events. It looks like my husband and I are well on our way to an empty nest. I downloaded Now or Never from NetGalley just as soon as I saw it listed since I enjoyed some of the previous books in the series so I am looking forward to this one as well. I loved Stray Magic and cannot wait to start reading Stray Moon. Protect the Prince is yet another sequel that I am really excited about. 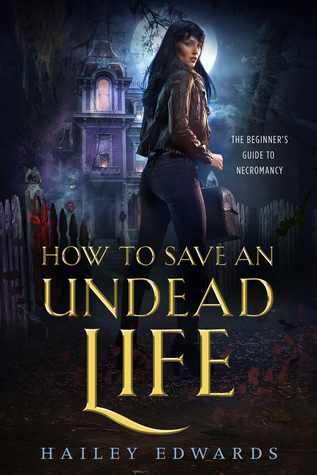 I have had How to Save an Undead Life on my wishlist for a while so I was thrilled to see it offered for free for Kindle. 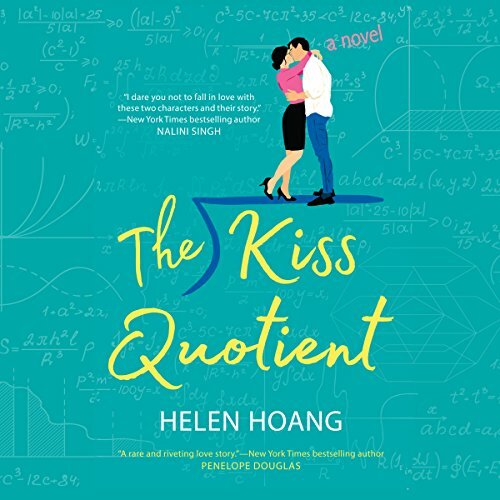 I just couldn't resist The Kiss Quotient when it went on sale for $3.95 this week at Audible. I also received an Audible copy of Instauration from the author for review. 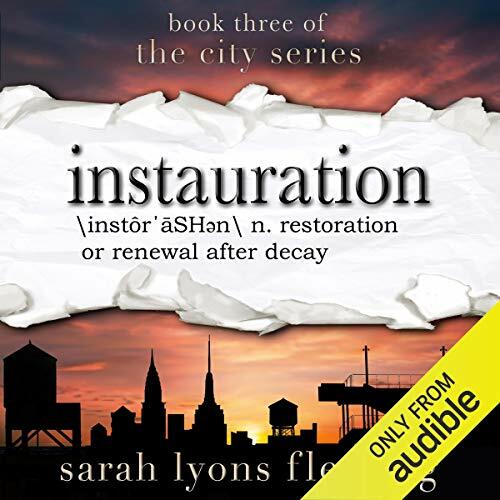 I have already read Instauration and loved it and am having a good time revisiting the story in audio. I added several review books this week. I am really trying not to add too many review books anymore so this is a pretty big haul but these are all books that I am really excited about. Congrats on the good news re: scholarships and grades! And hope you have nice relaxing holiday! It looks to be a fairly quiet one around here too and I'm looking forward to it. I've only read one book by Kelly Meding but I enjoyed it and hope to read more of her stuff soon. I have the Estep one too and I really enjoyed the Edwards one too! Happy reading! I'm glad you'll be enjoying more of a rest over the next couple of weeks-if anyone deserves it you do! Enjoy the rest! We don't do anything at Christmas other than the big food pig out! Wow!! Sounds like a really good week! Glad things calmed down for you! And congrats to your kids on getting good grades!! That's awesome! And yay for new reads! Seeing lots of Protect the Prince! I was just approved for that last night, so I am SUPER excited for it! Hope you enjoy all your new reads! I’m ready for Christmas! Well, I’m ready to eat and read. That part will be fun. Merry Christmas and enjoy your new books! I'm ready for the holidays! It's just me and the Mister so it will be a low-key day, but I still love cuddling up on the couch, watching holidays movies with him. Low key is my favorite kind of holiday! I grabbed the kiss quotient too this week! Heard so many good things about it. Happy reading and happy holidays! I just couldn't pass up the sale price! I am sorry that you were denied for Stray Moon and Protect the Prince. I don't do nearly as much with Edelweiss as I do NetGalley but I have been lucky. Congratulations to both your kids! Awesome news all around. I finished Now or Never this morning. It was really good. I am sad it's the end of the series, though I still have to read book 1, so I guess it's not the end for me. I am really looking forward to Now or Never. I somehow skipped the first book in the series as well. The first book is Kill the Queen and it is wonderful, Adriana! Have fun with your family this week. My daughter and grandson are coming over for Christmas. Ken and I both have a cold but I'm still going to be cooking. I hope you are feeling better and enjoy your holiday, Mary! I am sure things will get crazy again once my daughter's break is over. I just keep telling myself that she only has one more semester of high school and then it is all over. I can do one more semester! I am very proud of both of them. I hope you have a lovely Christmas with your family!! You deserve it. I just love spending time with family. It looks like you have some great books to enjoy for the day. MERRY CHRISTMAS!!! I didn't realize that Protect the Prince was available for request! My youngest definitely wants to go away to college. She has really focused on school during high school and has been offered some great scholarships so it is doable. My oldest is finally ready to get serious about school but has a long way to go. She is going to have to go somewhere local though. Ack! The Kiss Quotient is so good. I hope you'll love it as much as I have! I have had a print ARC of The Kiss Quotient since before its release. I don't know why I haven't read it yet but I think I will get to the audiobook fairly soon. I do like quiet holidays. Have a great Christmas, Olivia-Savannah! Sounds like your kids are having some real successes at school! Hope you're enjoying your Christmas break! It was a really nice break, Nicole! Congrats to your kids on all their achievements. I hope you had a nice, relaxing Christmas. I did have a nice few days off!